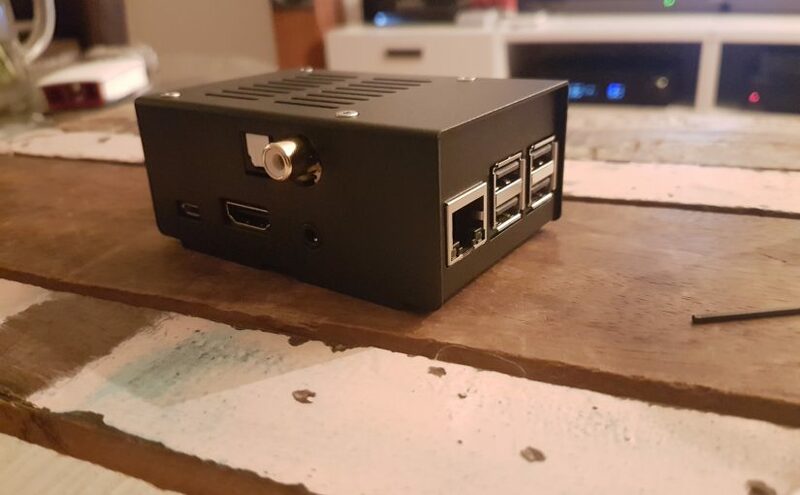 I had a spare Raspberry Pi 3b lying around and I like to tinker, so I decided to give that a try before looking into other options, like the Cambridge Audio BT100 bluetooth dongle or Chromecast Audio. There are many different media/audio player distributions available for the Raspberry Pi, but I wanted a headless solution with a good looking web interface and support for Spotify Spotify Connect. I picked Volumio as my weapon of choice. After installing and configuring Volumio on the Pi (which was a breeze), I had a simple and flexible setup for music streaming, with support for Spotify and Spotify Connect. As many of you may already know: the quality of the analog audio output of the Pi is not very good. This can be solved by using an audio hat for the Pi. There are a lot of options here, but I settled for the Hifiberry Digi+ Pro, because the CXA60 already has a good Wolfson DAC onboard. The pro version has two separate clock oscillators to reduce jitter and galvanic separation for the SP/DIF output and a voltage regulator for the 3.3V supply, which should improve its performance when powered through the Pi itself. There is a lot of discussion on the best way to power your Hifiberry. The general opinion seems to be that using a linear PSU powering the hat separately, which in turn supplies power to the Pi, or even completely separate power supplies for both are the best options. I am sure this will improve the sound, but I also want a power efficient setup and don’t have to perform any modifications to the digi+ board or Pi. At first I used a 15.000mah power bank, but now I am using an iFi Audio iPower PSU.